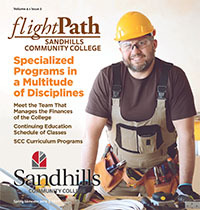 Helping students meet basic needs so they can be successful in reaching educational goals, advance to career training, and become self-sufficient is one of the main objectives of Sandhills Community College’s College and Career Readiness (CCR) department. In addition to high school equivalency and English Language Acquisition, free classes to develop or improve math and language skills are also offered. People of all learning levels and background are invited to take CCR classes. Those who complete orientation and begin classes in September will be able to attend the CCR “Welcome Back to School Day” on the Pinehurst campus on Thursday, September 20. CCR students will tour the campus and learn about the many training opportunities available at the college. Lunch will be provided for students and door prizes given. College and Career Readiness offers day, evening and online classes in Moore and Hoke Counties. New students must attend an orientation before attending class. The next orientations will be held September 10-11, from 8 am to 1 pm and September 17-19 from 5:30 pm to 8:30 pm on the main campus in Pinehurst or September 5-6 from 8 am to 1 pm and September 18-20 from 5:30 to 8:30 pm at the Sandhills Hoke Center in Raeford. To register, call 910-695-3980. Close partnerships with the college’s Foundation and other local community service agencies help reduce the most common obstacle students face which is transportation. Other obstacles include childcare and the need to work rather than attend school when no other income is available. Before many can be successful in achieving educational goals, such basic needs must be met. In the northern part of Moore County, where transportation services are not available, CCR provides van service for students to the Westmoore Center in Robbins. “This is also made possible by the generous support we receive from our Foundation,” says Worley. 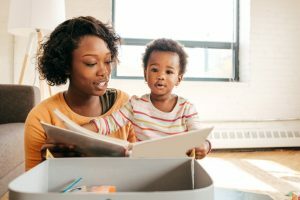 “We currently have a student expecting a baby later this year who has decided to attend both day and evening classes to complete her high school equivalency before her baby is born. I so admire her tenacity and commitment so she can better provide for her child. I can relate to it on a personal level as I was once in a similar position. The office of College and Career Readiness is seeking qualified instructors to teach classes, especially at several off-campus locations. For more information or to apply, follow the link from the www.sandhills.edu to Employment>Apply Now>Continuing Education>College and Career Readiness.